Scientists have, for the first time, characterized the molecular markers that make the brain's front lines of immune defense—cells called microglia—unique. 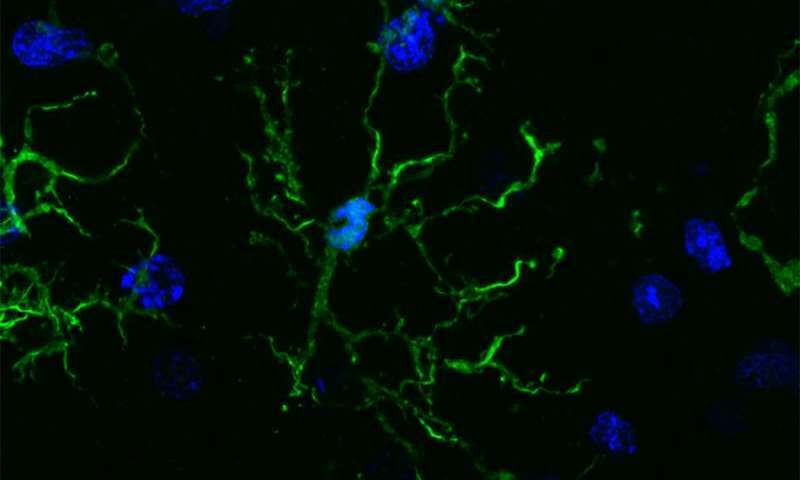 In the process, they discovered further evidence that microglia may play roles in a variety of neurodegenerative and psychiatric illnesses, including Alzheimer's, Parkinson's and Huntington's diseases as well as schizophrenia, autism and depression. The team used a variety of molecular and biochemical tests—performed within hours of the cells being collected—to characterize which genes are turned on and off in microglia, how the DNA is marked up by regulatory molecules, and how these patterns change when the cells are cultured.